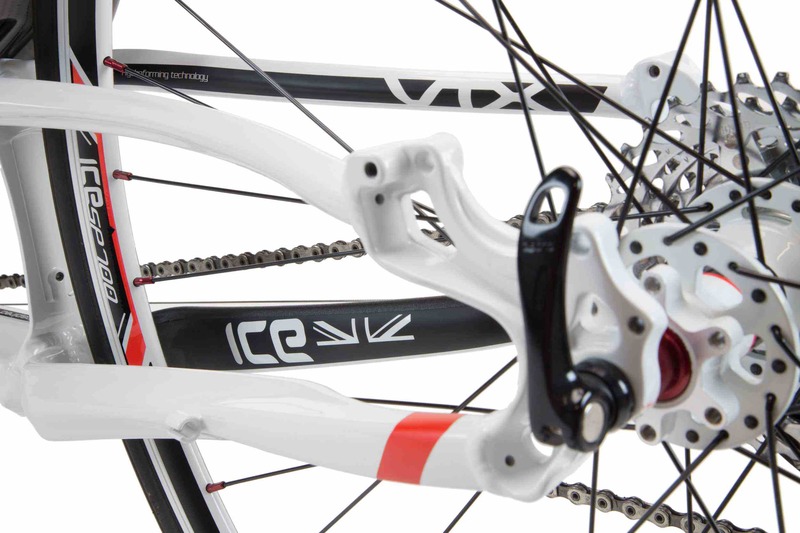 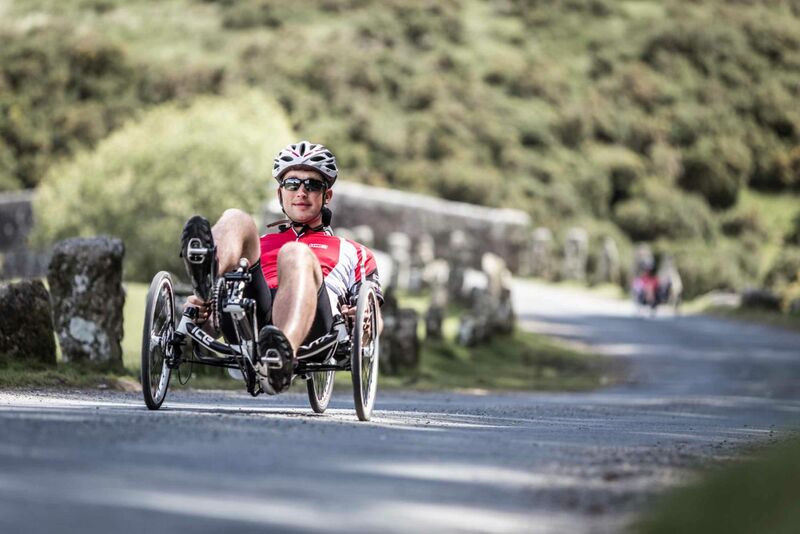 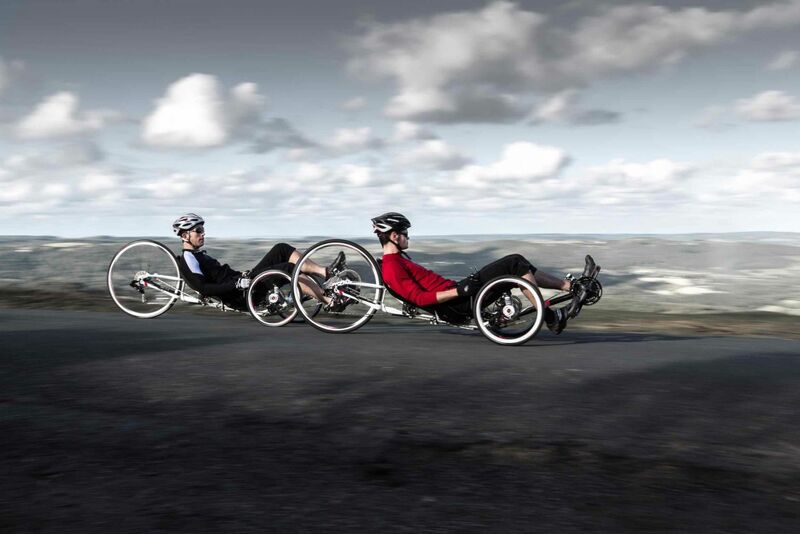 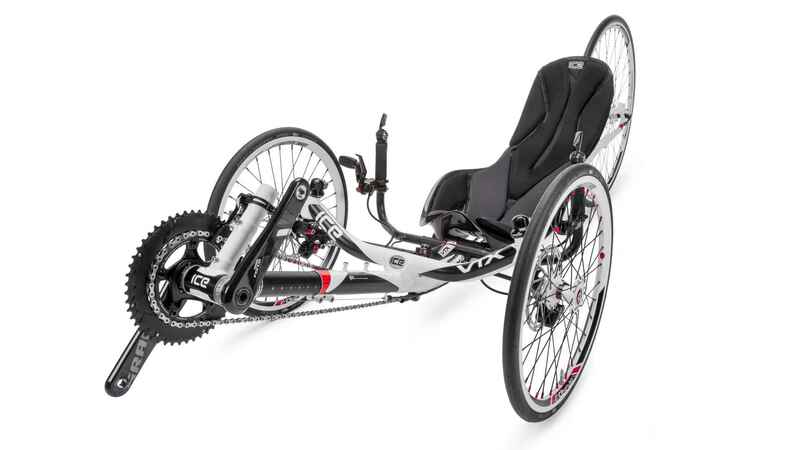 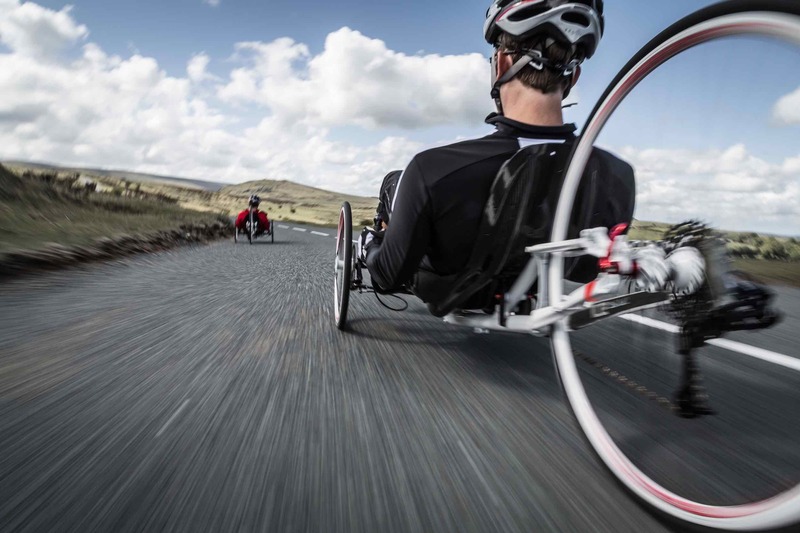 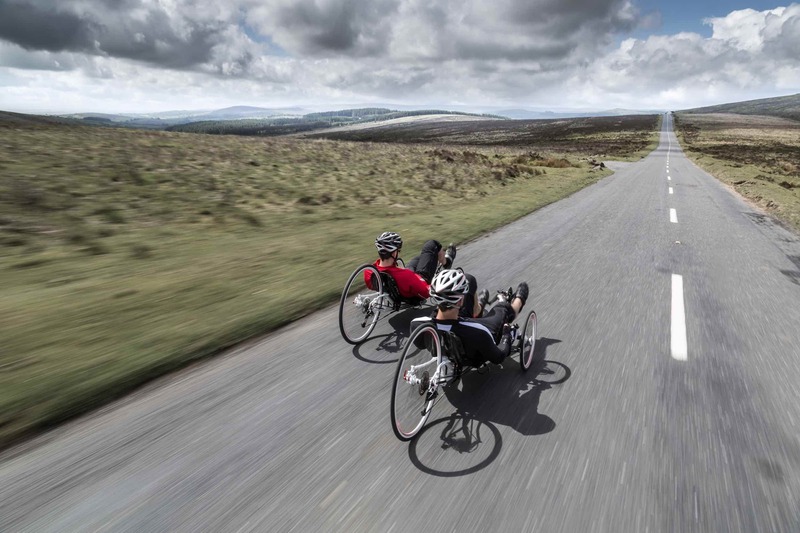 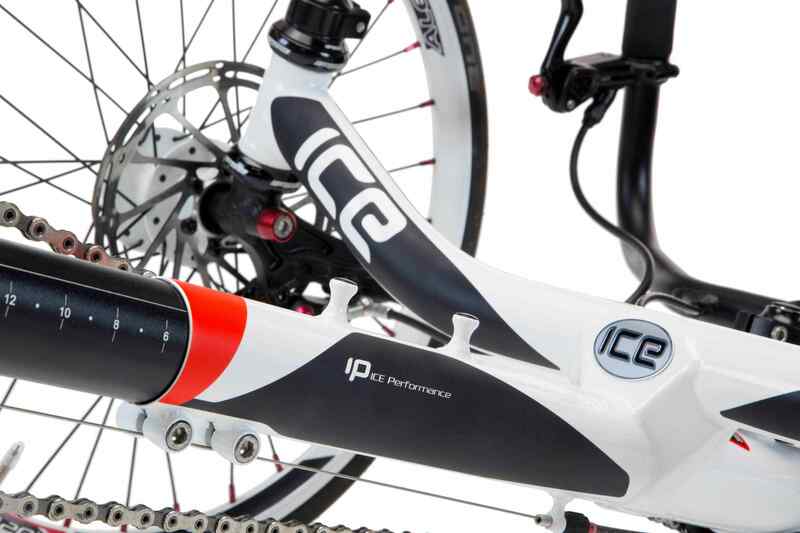 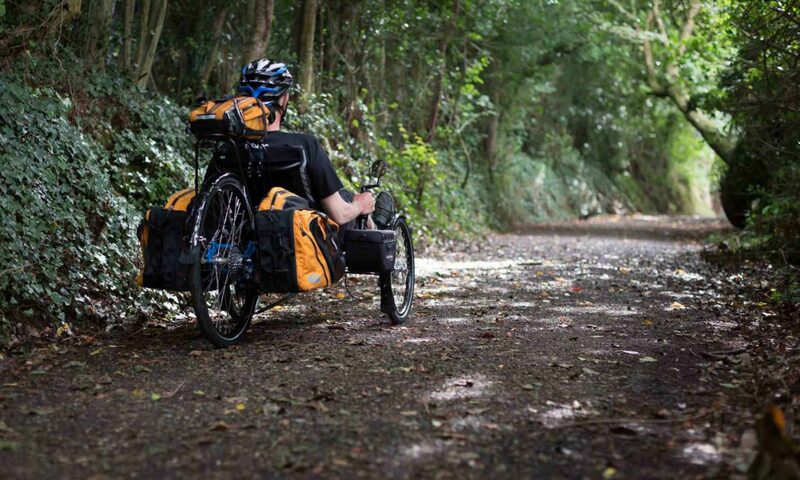 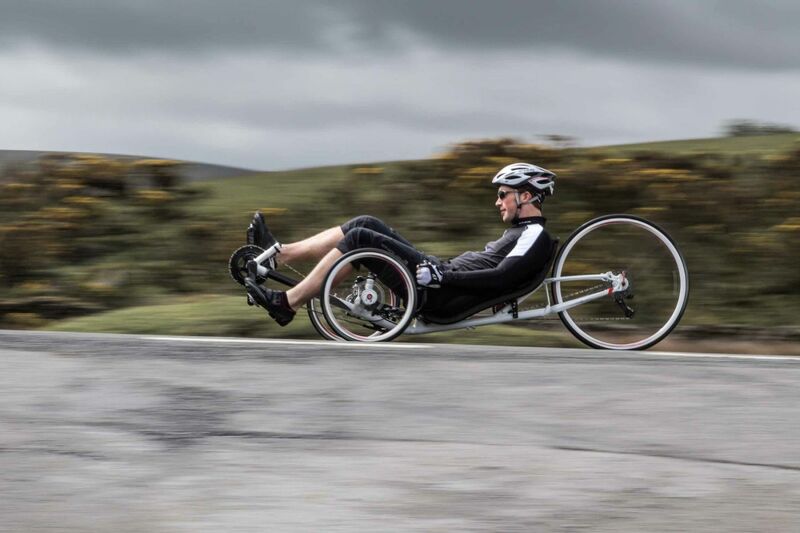 The VTX is ICE’s race trike – its narrow track, very low reclined seat and light weight made it a HPV Championship winner in 2018. 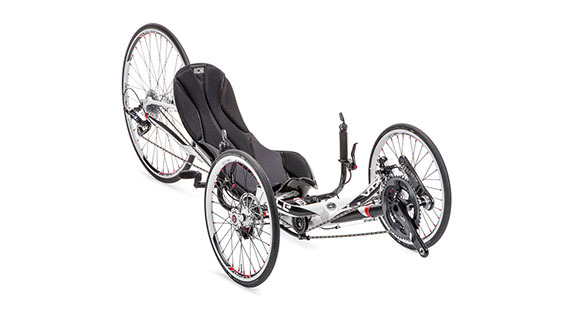 The VTX’s carbon fibre seat weighs only 1.1kg, and can recline as far as 25 degrees for a very low aerodynamic profile. 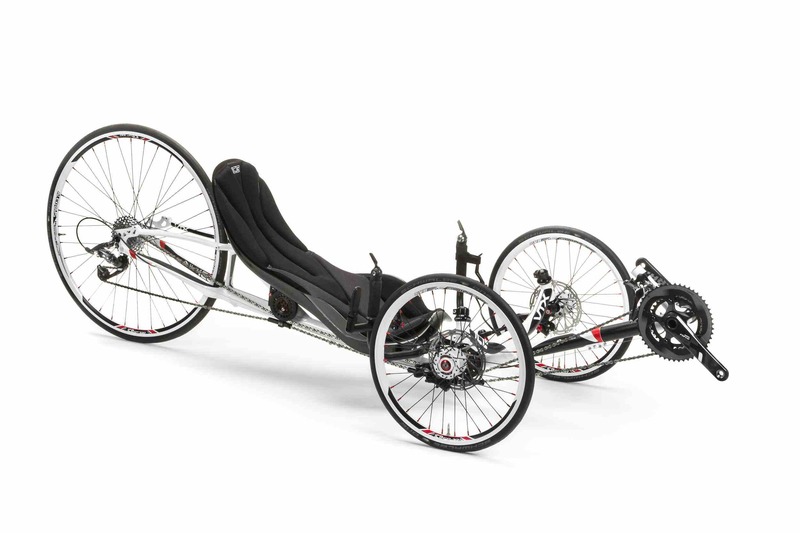 With a complete weight under 30lbs and a very stiff rigid frame so all your power goes to the back wheel, the VTX accelerates and climbs beautifully, and the indirect steering keeps it stable at speed coming down again.